The same as our popular brass adapter, but with a silver finish. Sold here as the adapter only, without glass. For the adapter and glass together, please see product #1419S. 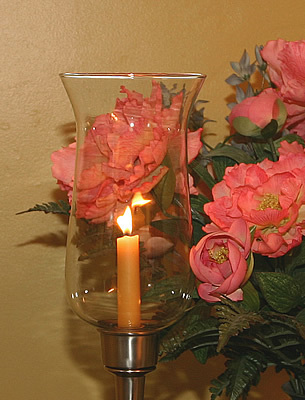 This is the perfect way to convert your 7/8 inch pewter candle holder into a hurricane lamp. Fits most standard 7/8 inch candle holders. 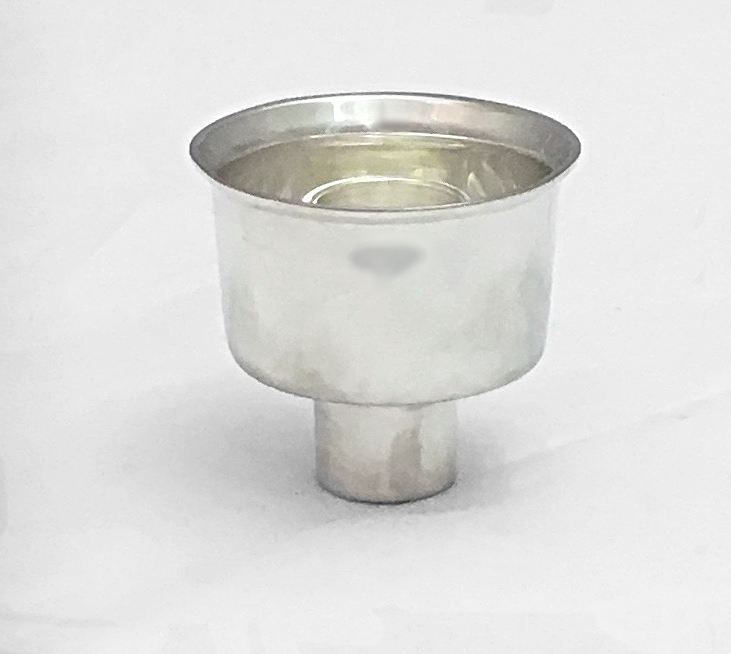 This solid brass adapter has a heavy silver plating, which is treated with a micron finish to help reduce tarnishing. The adapter weighs seven ounces.